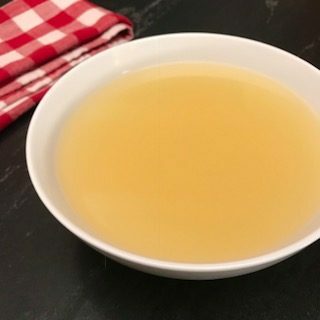 Homemade chicken broth tastes so much better than canned broths or stocks and it is easy to make! Make a bit batch and freeze it for later use! Homemade chicken broth doesn't require a lot of ingredients: water, chicken, salt, pepper, celery, carrots and aromatics! You might like Chicken and Dumplings, too!